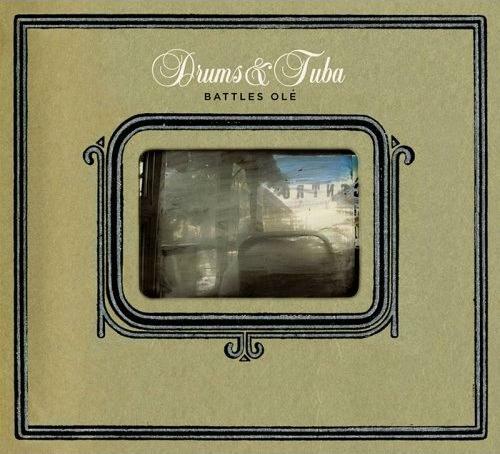 Drums and Tuba has to be one of the oddest bands active these days in terms of their basic instrumentation, which would be, um, drums, tuba, trumpet, trombone, guitar and electronics. The core trio (Brian Wolff, Tony Nozero, Neal McKeeby) are augmented on this studio recording, their sixth, by friends on organ, sax, and additional brass. In some ways they remind me of Medeski Martin & Wood at their most experimental if they replaced the keyboards with guitar and the bass with tuba, if that’s not too much of a stretch. The basic idea is that solid, slightly funky drumming keeps things going no matter how far out the rest of the playing gets. And far is how out it gets here, with bizarre loops and distortions, squiggly sounds from unidentifiable sources and angsty vocals. The vocals are a new thing for the band, and don’t detract from the instrumental base, as the lengthy tracks allow plenty of room for stretching out. For all the improvisation, there is no space wasted on noodling or showoffy stage-hogging – texture and sound are favored over technique or flash. The centerpiece is the ten-minute gem with a loping Afrobeat triplet rhythm called “Magnum Opie,” which ranges from a quiet staccato build-up with acoustic guitar to an amazing climax of avant guitar, swooshing noises, and echoing trumpets. Amazing stuff.